The #1 social network, having recently reached 1 billion users worldwide, Facebook is probably where you will want to start your social media campaign. A Facebook presence is now a must-have for any type of business operating in any type of sector. However, just a presence on Facebook, will not be enough by itself, as a Facebook page without any likes or fans on it will not have any impact on your business. 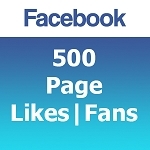 A Facebook Page should also have likes or fans on it in order for the business to be more creditable and reliable as well as to boost your SEO and your online reach among many reasons. We offer two different types of Facebook campaigns; Facebook Likes | Fans Services where we would add likes or fans to your Facebook Page; and Facebook Follower Services, where we would add followers (subscribers) to your personal Facebook accounts. Please select the campaigns that best suits your needs for more information about them. With over 500 million users worldwide, the microblogging website Twitter is the second largest social media network. More and more businesses have started to use it as part of their marketing channels as it is a great tool to keep the customers updated about any information about your business, whether it's a promotion, a new product launch, sales, etc. Apart from keeping your followers updated about yourself or your company a Twitter presence will also help you to build your brand identity by reaching more potential customers and getting your company known. Just like, fans and likes on Facebook, having followers on Twitter will gain you credibility as well as increasing your SEO for your website, blog, etc by having backlinks from Twitter. 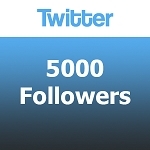 Our Twitter Follower Services will help you build a strong follower base, which will increase your reach, reliability and credibility, while our Twitter ReTweet Services will help you to massively spread out any message that you might have; any website that you need to promote or any tweet button numbers that you need to increase for SEO purposes. YouTube is the 3rd most popular website on the planet with over 4 billion videos streamed on it on daily basis. Since it's acquisition by Google in 2006 YouTube has become more and more popular in companies SEO efforts too. Overall, YouTube is one of the most powerful tool a company can use for indirect marketing strategies. You may introduce your company, new products, testimonials or you may even earn money by entering into a partnership with YouTube. Buy best of all, YouTube videos are heavily weighted in Google's search results, so it has become crucially important for any company's SEO efforts. We can help you achieve your YouTube marketing goals with our Youtube Views Services, which will increase the amount of views of your YouTube videos; or we can simply increase the amount of likes on your videos with our YouTube Likes Services. Having reached 10 million users in a short time, Pinterest has become the fastest growing website ever. Whether you are using Pinterest for personal use or for business purposes, there are many reasons you may want to increase the amount of your followers, the RePins of your Pins or the likes on your Pins. By getting more followers you may increase the exposure of your brand/product, or simply your hobby and reach more people. And getting more repins or likes on your pins will increase the popularity of your Boards and Pins. Pinterest is getting ever more popular, so it is definitely a social network every company will eventually get adapted to, and by getting an early entry to it, you might just get the competitive edge against your rivals! We offer 3 separate services on Pinterest to suit all your needs. Pinterest Followers Service, will get you more followers, Pinterest Repin Services will repin your pin to increase its popularity and Pinterest Likes Services will get you likes on your pins. With over 30 million users and a total of 150 million pictures shared, Instagram is the next big social network. It's recent acquisition by Facebook for $1 Billion is just the indication of it's true potential. Although mainly used on smart phones and tablets; through special apps it can also be accessed with PCs. With the ever growing amount of smart phone and tablet users it is really a nice marketing tool for companies or individuals targeting niche markets or targeting the smart phone or tablet related industries. Whether you are looking to increase your followers for your personal account, get more popular or try to target a niche market we have just the right services for you! 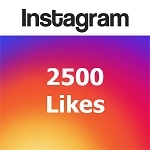 Our Instagram Followers Service will help you increase the amount of followers you have on your Instagram account; and our Instagram Likes Services will get you the required likes on your photos.